The Indiana Pacers announced Saturday they have waived forward Ben Moore. 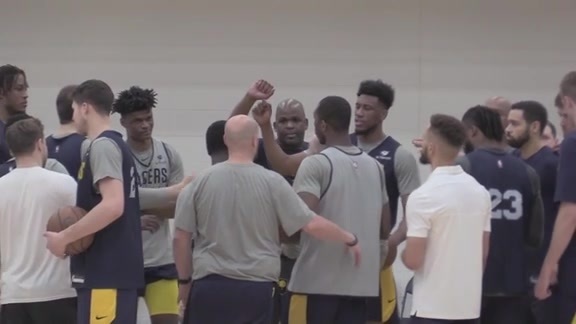 In addition, the Pacers have recalled center Ike Anigbogu from the Fort Wayne Mad Ants, their affiliate in the NBA G League. Moore, a second-year forward out of SMU, had not played for the Pacers during the regular season. He appeared in two games for Indiana season while on a two-way contract. Anigbogu, the 47th overall pick in the 2017 NBA Draft, has appeared in one game for the Pacers this season. He started Friday's season opener for the Mad Ants, tallying seven points, 11 rebounds, and three blocks in a 112-101 loss to the Sioux Falls Skyforce.